Increasing housing costs can present a significant challenge to older Americans, either as they search for affordable housing, or seek a means to remain in their own long-time homes. Homesharing not only helps seniors financially, it also decreases social isolation, which in turn, has psychological and physical benefits. SeniorHomeshares.com facilitates the Golden Girls! 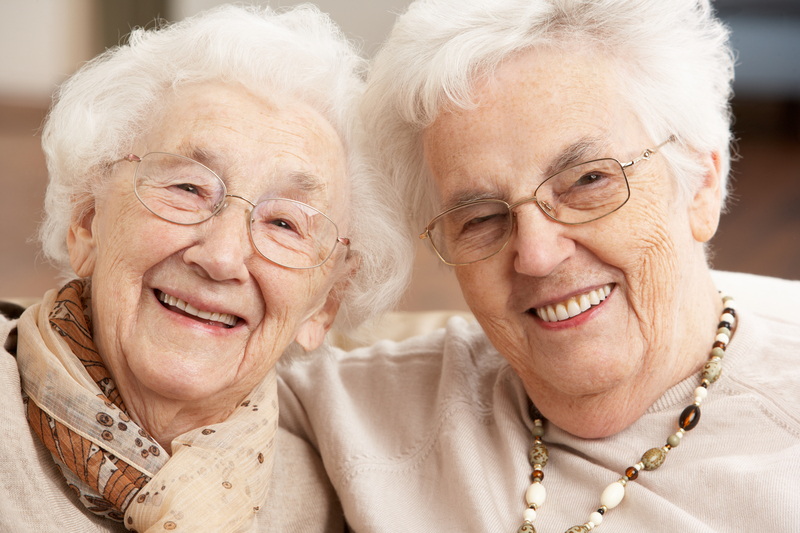 Senior Homeshares is a national non-profit. Our free online service, SeniorHomeshares.com, matches seniors who have extra room in their homes (such as empty nesters, widows/widowers) with seniors in search of safe, affordable housing. Seniors complete a profile including basic information about property amenities, rent/budget, geography and housemate preferences. Our algorithm matches the profiles and presents a list of potential housemates to members, who can exchange messages securely within the app. How collaboration worked: This was a passion project among a group of web professionals, originally self-funded. As an Internal Revenue Service (IRS)-approved charitable organization (also known as a 501c3 organization), we now accept donations and grants. Details on older people's involvement: I (ED/Founder) am a user researcher by background, and I interviewed 20 seniors in great detail as part of this project . We talked about the information they would want to view about other members, what they would be comfortable providing, and how much time and effort they felt was reasonable in creating a profile. They also reviewed the wireframes (sketches) I prepared of the site pages, so that we could evaluate the language, content and flow of the pages. We are just beginning to gather feedback as we grow, but initial findings indicate that about 10 - 15% of our members find matches. We expect that number to grow as membership increases (4,000 current members, 13,000 total). Yes, tons of feedback, by email, onsite chat and phone, including much positive feedback, and suggestions for improvement. Also requests for employment :-) This feedback provides ideas for new features, support content and process improvements, and helps us to set priorities for development. Our expansion goals are very simple - achieving critical mass is essential. The more seniors that join our service, the better the odds for finding a housemate. Because we are an online service, scale is inherently supportable (i.e., we don't have to build anything additional). We do have plans for additional functionality as funding permits. The most surprising thing - one that was not evident in testing - was how many of our elderly members would want to use our service on a smartphone. While we designed the site to be mobile-responsive, we had not expected a large number of mobile users. The key factor, as it turned out, is financial: many of our members cannot afford either computers or broadband. It would not have changed what we built, however it did affect our customer support content (we have to provide solutions for both computer and phone). One thing I would do differently is to have made it clearer to older friends that they absolutely could not share our plans, as this may result in a competing business being launched. Our biggest challenge, aside from attaining critical mass, is teaching our members how to engage appropriately online. This would include checking and responding to messages regularly (which many aren't used to doing) and closing their account when they no longer need it. We could solve the latter by charging for the service, however, cost is a barrier for many of our members. Very challenging, and a problem we are still evaluating.